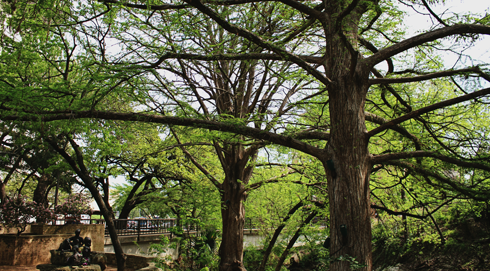 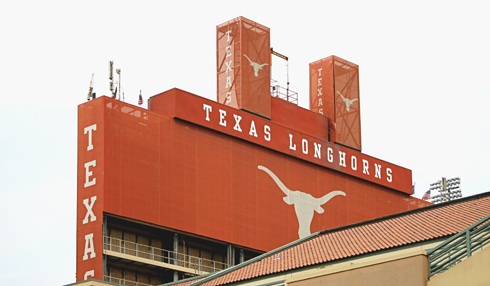 As one of the most prestigious teams in college football, you'll know you're in Austin, Texas when you start seeing the Texas Longhorns logo on everything. 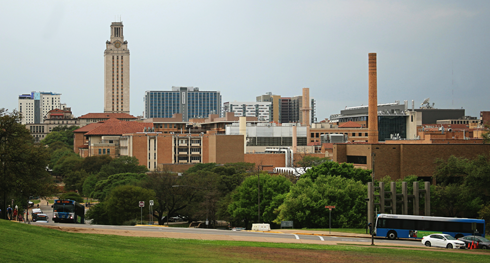 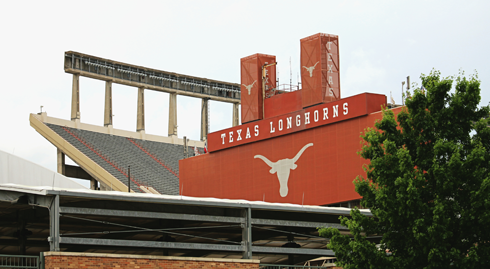 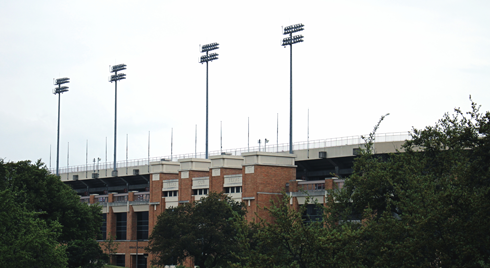 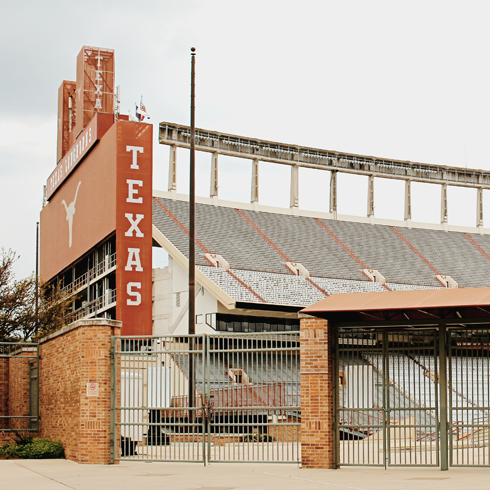 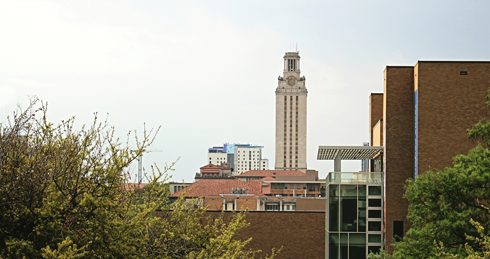 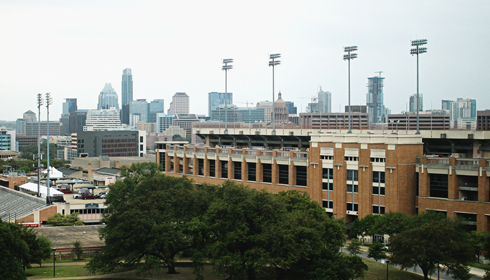 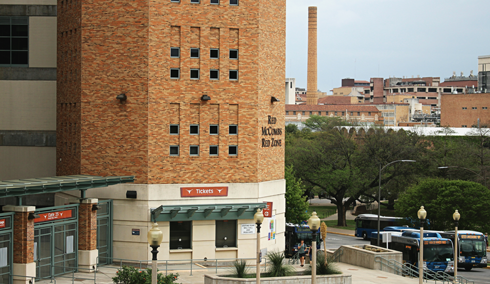 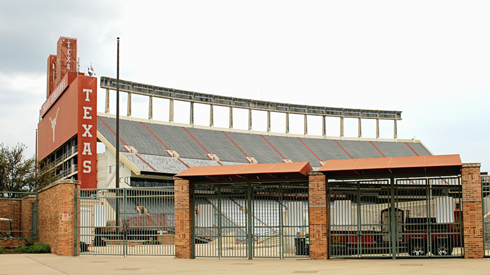 The University of Texas at Austin football team plays out of the Darryl K Royal - Texas Memorial Stadium, which for the record, with a seating capacity of 100,119 makes it the eighth largest stadium in the United States and ninth largest in the world. 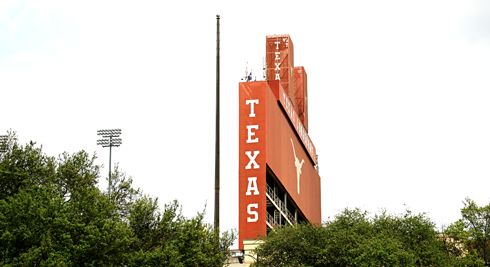 There's no question that football is big in Texas.